those tummies a giggle and a bite to eat. Sunday sessions are half-price so don't miss it. 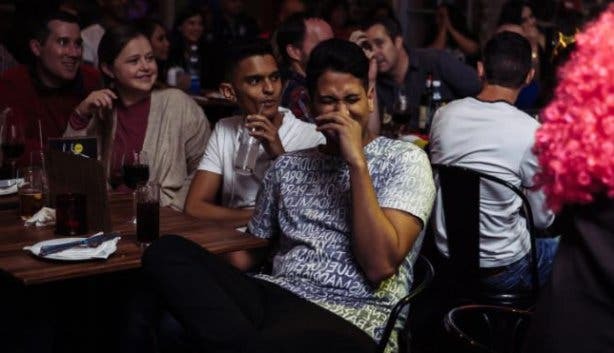 End the weekend on a hilariously high note with top-notch entertainment, great local food and craft beer (try the Jou Ma Se Burger or Jou Ma Se Brew), and the funniest local comedians at the Waterfront’s vibrant Cape Town Comedy Club. 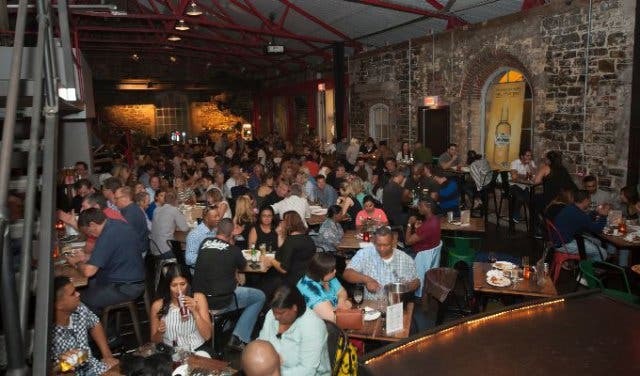 Located at the V&A Waterfront’s industrial-chic landmark venue, The Pumphouse building, Cape Town Comedy Club showcases some of the best live comedy and stand-up performers in the biz. 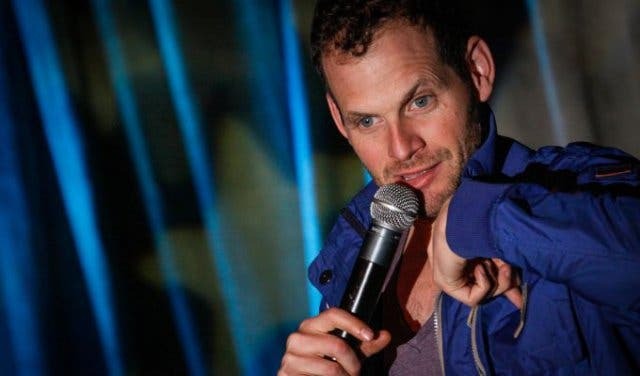 Audiences can expect to see the likes of Marc Lottering, Rob van Vuuren as well as crowd favourite guest acts like Conrad Koch (Chester Missing). 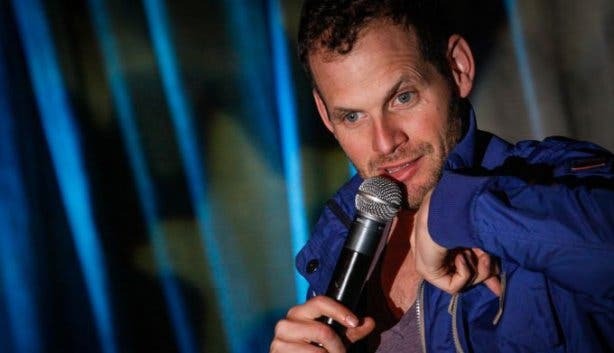 Whatever your taste in stand-up, there’s guaranteed to be something at the club to tickle your funny bone. 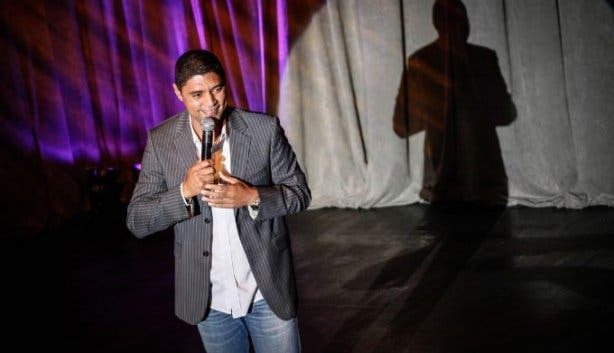 Four comedians and an emcee entertain the audience every night, and each week there’ll be a different line-up. 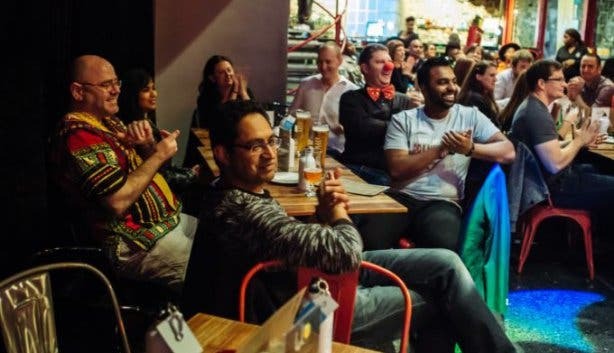 Recently voted as one of the ten best comedy clubs in the world by Traveller.com, Cape Town Comedy Club is at the centre of a South African comedy revolution, especially if you’re looking for some Wednesday night comedy. 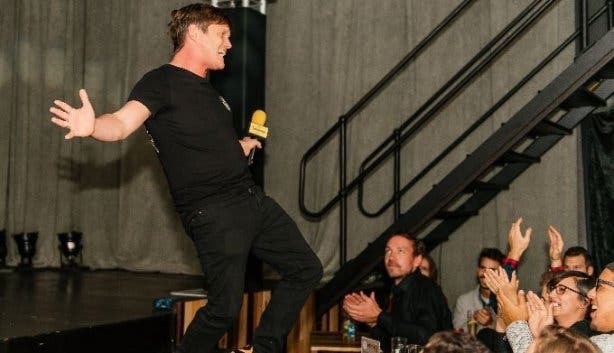 More than just world-class comedic entertainment, guests can also enjoy a complete dinner-and-show experience at Cape Town Comedy Club as the spot has its own restaurant. Diners can expect casual favourites such as calamari and various grills, as well as the tasty Jou Ma Se Burger and Jou Ma Se Gatsby. For dessert, you can’t go wrong with a Bar One sundae or a Dom Pedro. Sip on a Jou Ma Se Brew craft beer exclusively available at The Pumphouse, order a couple of R15 tequilas, or get yourself a glass of vino. 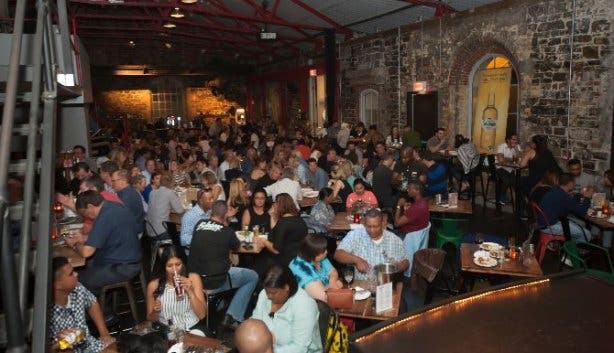 The show gets going at 8:30pm, but with happy hour from 6pm to 7pm, there’s every reason to arrive early. 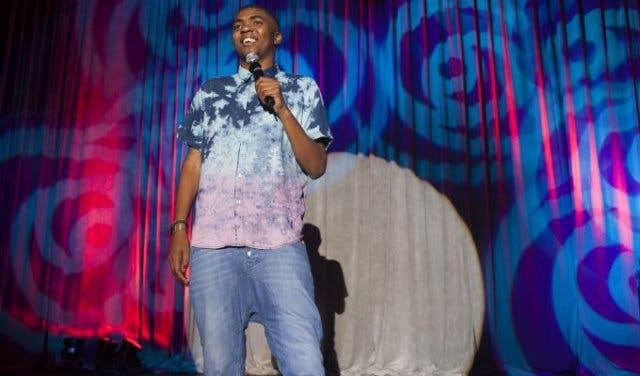 Tickets: R60pp (normal price R120pp). Half-price Sundays are only available for selected Sunday shows. Doors open at 6pm and the show starts at 8:30pm. You might want to check out Cape Town Comedy Club’s Silly Season Lunch Shows. 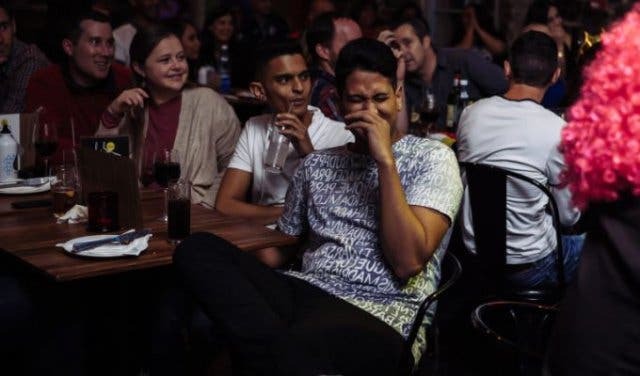 Find out where else you can watch stand-up comedy or other venues for dinner theatre in Cape Town. 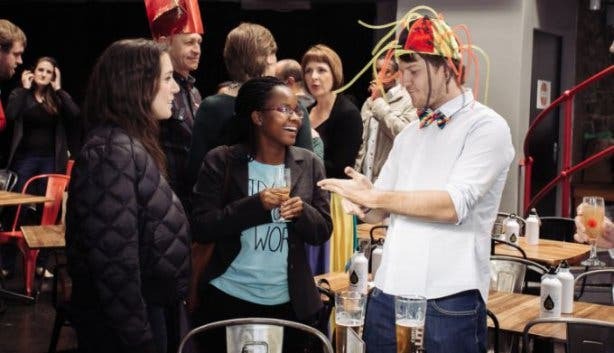 Looking for places to host your birthday or end of year function? Supercharge your event? 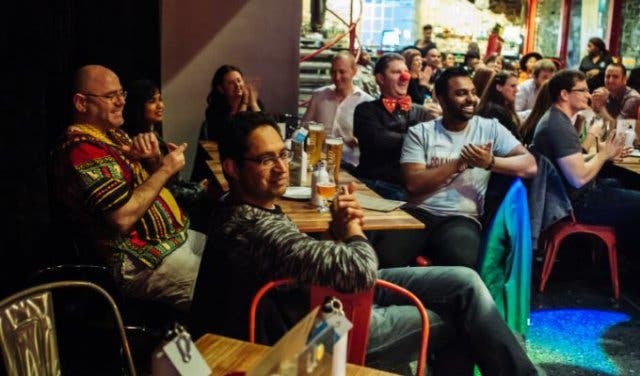 Our Events Support Programme gets results. Contact support@capetownmagazine.com or +27 (0)21 422 2444. Use our events section for an up-to-date overview of what’s happening in the city, suburbs and dorpies. Join our newsletter and add us to your mobile home screen for the ultimate guide to discoveries in Cape Town.